Startups question if it worth attending tech conferences such as Web Summit. To which we say, yes, it is! Tech conferences and startup events put you in the fast lane to boost your career and help you stay up to date with the happenings in the tech world. A good tech event can change your entire life. Here’s why your startup should participate in tech conferences such as Web Summit 2018. Sure, you can connect with people online, but there is no substitute for face to face interactions. Networking events in your geography are also a great start, however, they wouldn’t give you a global experience. Depending on your home base, it could be a challenge to connect with people on a global scale. One of the biggest advantages of connecting with people globally is it allows you to make your business appealing to people in other cultures. They can also bring entirely new perspectives to the table. 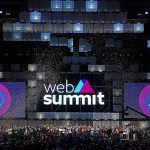 The best tech conferences such as TNW and Web Summit actively focus on making their events global to ensure the attendees can get the most out of them. Startups founders from around the world that are ambassadors of diversity, come to speak about diversity can improve the future of tech. Most tech conferences invite investors and reserve pitch sessions for startups. This is a golden opportunity for entrepreneurs to get funding for their business (or start a new one). If nothing else, it’s a wonderful platform to practice your pitch and get feedback. With your killer idea and charm, you might even walk out with potential funding. Moreover, you also get a chance to mingle and network with investors informally. In a meeting that’s informal in nature avoid pitching your ideas to them; instead, try to get a feel of what the investors are looking for. Try to make a connection and you might have a better chance of getting the investment at the right time. Most tech conferences have extensive programs to help connect entrepreneurs with investors. Founding members of leading firms, such as Steve Anderson from Baseline Ventures and Theresia Gouw from Aspect Ventures, attend tech conferences like Web Summit almost every year. 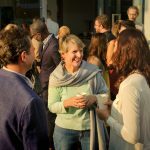 One of the biggest advantages of attending networking events and tech conferences is a new perspective—on business, in the world, in your life. You’ll leave with inspiration and buzzing innovative ideas. You’ll have new connections that can help give life to these ideas. Even a small conference can completely change your perspective, but conferences such as TNW, Collision, RISE, and Web Summit are huge, and they offer a wide range of opportunities to find information that will change your outlook towards business and life in a positive way. If you have a unique idea or have created a truly innovative product, speaking at tech conferences and events can help you share it with a relevant audience and will help you to build authority in your industry. It will make you visible and build credibility as an expert and entrepreneurs/investors will know who you are. Speaking at big conferences gives you a wider base compared to the small or more local ones. Speaking at an event as big and well-respected at Web Summit is the ultimate opportunity. You’ll be under the same roof as world’s top tech entrepreneurs and it will give you space in your audience’s mind. However, before you take the stage to present at a tech event, do a couple of practice sessions at smaller conferences to get a hang of it. It’ll give you a chance to improve your speech and will enhance your confidence on stage. It also helps people to judge your work and helps you to come across as a well-versed individual who knows the industry inside out. Event marketing is a terrific way to market your startup; however, it can get financially difficult for startups that are bootstrapped or just starting off. 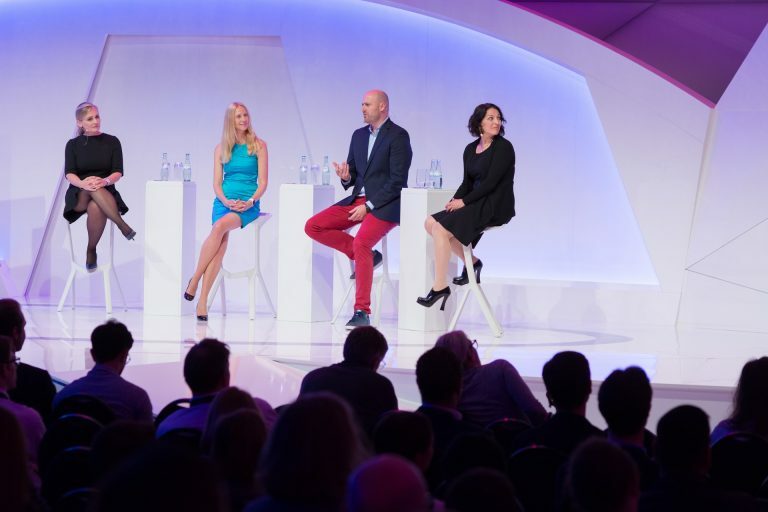 Participating at an event such as Web Summit can burn a massive hole in your marketing budget. To help startups make the most of this amazing platform, the Startup League is giving 10 up and coming startups a chance to exhibit at the 2018 edition of Web Summit at full sponsorship on their ALPHA booth! Not just that, all remaining other startups that are part of our #Leagueof100 to Web Summit 2018 stand to receive 25% sponsorship on ALPHA, BETA or GROWTH booths. Startups will also receive exclusive support in terms of access to mentor hours, investors and workshops through the ALPHA package, free branded swag such as T-shirts and marketing merchandise to flaunt at the event, and a PR push on leading tech platforms like Tech.EU and TNW, to name a few.